Bound By Arbitration? Do You Know What It Means? Deciding whether or not to put arbitration clauses in your contracts is more involved than deciding if you want grated parmesan on your pasta. Don’t you just love going out for Italian food? There’s nothing that makes your mouth water quite the same way as the aroma of Italian food that caresses your nostrils when you walk in the door. Whether you prefer a hardy bowl of pasta, or a lighter cup of minestrone with a salad and breadsticks; you know you’ll be satisfied as soon as you inhale the intoxicating smell of an Italian eatery. In my last post I discussed potato flakes and how they are used in making gnocchi, a potato based Italian pasta. 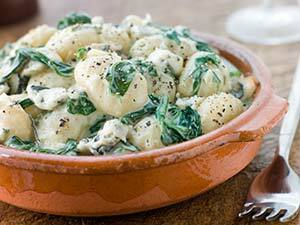 In Italy, Thursdays apparently are reserved for gnocchi in restaurants so you know what I’ll be eating tomorrow! The next time you go out for Italian food and whip out your American Express card to pay for your gnocchi consider the class action headed up by Italian Colors Restaurant. Italian Colors Restaurant, along with other merchants, took action against American Express (Amex) over the credit card fees they were being charged. 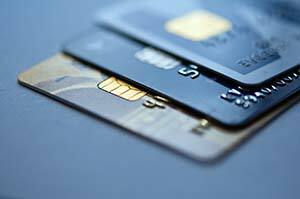 Merchants who accept the American Express Card entered into agreements with American Express (Amex) containing arbitration and class action waiver clauses. When the merchants brought a class action law suit against Amex for violations of antitrust laws in federal court, Amex moved to compel arbitration on the basis of the arbitration clause. The District Court granted the motion and dismissed the lawsuits. The Second Circuit Court of Appeals, however, reversed on the grounds that the plaintiffs would incur “prohibitive costs if compelled to arbitrate under the class action waiver”. In a landmark decision, the U.S. Supreme Court has upheld a class action waiver in arbitration, despite potentially prohibitive costs to individual plaintiffs. The U.S. Supreme Court reversed the Second Circuit Court of Appeals decision. It held that the Federal Arbitration Act (FAA) does not allow a court to invalidate a contractual waiver of class arbitration on the basis that individually arbitrating the claim would result in costs to the plaintiff that exceed the potential recovery. The Supreme Court supported the idea that arbitration under the FAA is a matter of contract, such that arbitration agreements must be “rigorously enforced” according to their terms, which in this case was a class action waiver. The Supreme Court was not persuaded by the argument that enforcing the class action waiver would violate antitrust laws because the high cost would prevent individual plaintiffs from litigating their claims under federal law. Rather, the court asserted that antitrust laws “do not guarantee an affordable procedural path to the vindication of every claim.” Moreover, the court noted that the antitrust laws were enacted before Federal Rule of Civil Procedure 23, and therefore, Rule 23 could not be read as entitling plaintiffs to class action in antitrust cases. Read the full opinion. It basically means that the merchants contractually agreed to waive their rights to bring a class action in court against Amex when they signed their agreement with Amex. Instead of bringing a class action, each merchant would need to file an individual demand for arbitration. Arbitration has become almost common place in contracts. I’ll bet that there is not one person reading this who is NOT bound by an arbitration clause in some contract, agreement, insurance policy, or sale agreement in their life. Arbitration is an alternative to litigation or being in court. You and another person can enter into a contract and agree in the contract to go to arbitration instead of being in court. It’s essentially waiving your right to file a law suit. In arbitration, usually the parties select an arbitrator who acts like a judge in a private court. Some business owners like arbitration because it’s private (not like the public court system) and there is no risk of a “runaway jury,” which is a jury that usually gets upset at the circumstances, acts independently of the law, and makes an unreasonable award. While runaway juries make for good drama (as in John Grisham’s book and 2003 movie aptly titled “Runaway Jury”) most juries aren’t usually that wayward. But if you would like to see a movie about one who is – here’s the Runaway Jury trailer. Arbitration is typically more expensive than litigation. If you sue someone in court, the court system, i.e., the building, the staff, the computers, judges, and staff, are paid for by the government using your tax dollars. If you decide to go to arbitration instead, you pay for the facility ($200-$500 per day), the court reporter (generally $1000 per day), and the arbitrator (anywhere from $250-$1000 per hour). 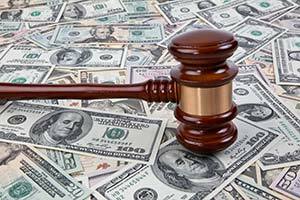 One court case stated that arbitration can be as much as $90,000 in arbitration fees. And, this is in addition to your attorneys’ fees! What kind of liability are you exposed to? 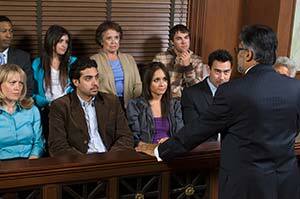 Do you run the risk of a runaway jury? Who is the party on the other side of the agreement? If you are in a dispute, are you willing to pay the arbitration fees? How important is privacy of your dispute? Do you have a class arbitration waiver that needs updating? Contact us for a free update (if Dodge Legal Group, PC drafted your class arbitration waiver). Offer good for 30 days.